Hip synovitis, also called transient hip synovitis or toxic synovitis is a condition in which there is inflammation of the synovial tissues surrounding the hip joint causing hip pain. It is the most common reason for sudden hip pain occurring in young children between the age of 2 and 9. 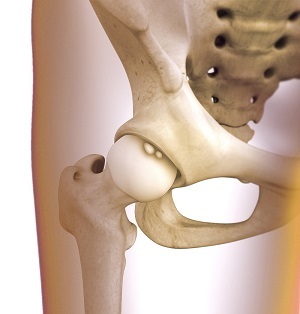 It affects boys more commonly than girls and most of the time the hip joint on only one side is affected. When you go for a consultation, your doctor will initially examine your child's hip, knee and other joints and check whether there is pain while moving the joints passively. Your doctor may order diagnostic tests such as ultrasound imaging and blood tests to assess inflammatory markers. If the inflammatory markers are high, then your doctor may order a culture test of the fluid within the joint. To perform the culture test, joint fluid is collected by inserting a needle into the hip joint and aspirating the fluid then sending it to the lab for evaluation. Treatment for hip synovitis includes simple home remedies such as rest, application of heat and massage over the painful area. Anti-inflammatory medications will be prescribed to reduce the pain and swelling. Weight bearing on the affected side should be avoided until the pain is resolved.